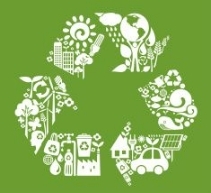 Mother B strives to not only provide an eco-friendly cleaning company in the Chicago area and great cleaning service, but to improve our client’s quality of life by creating more free time and making more ecologically conscious choices available and convenient to a hectic lifestyle. In addition, funds from every cleaning go directly to causes that help our planet. It’s the service our founder wanted when she was a busy professional and now it’s available to you. Not only are all our products ‘Green Certified’ by the EPA they are also rated ‘A’ or ‘B’ by the Environmental Working Group’s strict standards, accounting for possible allergy triggers. Being ‘Green’ at the most basic level is honoring our connection to one another and the planet. Cleaning homes at a high standard is hard work, which is why we at Mother B pay our valued employees a wage that allows for dignity. Our founder Adrian Ruddock was a typical stressed out single mother and professional who was trying to find some semblense of balance between caring for her daughter, running a household, building a business and being a decent human being. While at a financial service mega-conference in Milwaukee, she glanced over at a trash can that minutes before had only been half-full to see it overflowing with garbage. Things that had taken just under 5 minutes to consume; breakfast boxes, plastic water bottles, paper coffee cups, paper napkins were piled around the trash can awaiting their lifetime long stint in a landfill. She realized her four year old daughter would most likely be on her second career by the time it had even begun to degrade. It was time to change business as usual. It was there that the seeds of Mother B were planted.